Over time, mutuals consistently provide better value products to their customers because their businesses are focussed on long term plans rather than short term market disruption. The existence of customer owned banks in a market dominated by large profit maximising banks means that they are able to provide the only meaningful competition on the basis of service proposition and price. Customer service is the focus for customer owned banks and they consistently provide high quality service and greater customer satisfaction in comparison to the biggest banks. In a market where trust is generally low, customer owned banks provide an alternative to the profit maximising banks by consistently focussing on the needs of customers rather than shareholders. In economies hit hard by the global financial crisis, customer owned banks acted as a bulwark against large banks operating the same business strategy. The fact that they were less damaged by the crisis helped to mitigate risk in those economies and ultimately costs to the taxpayer. Spiralling executive remuneration in listed banks has become a problem in Australia, with the added agency risk of short term performance being linked to pay. This has driven behaviours that are not present in customer owned banks, where salaries are cash based rather than incentivised by shareholding. Customer owned banks are smaller than shareholder owned banks but still manage to return a higher proportion of their profits to communities, charities and member supported activities. The APS Benefits Group is a mutual which offers personal and financial products and services to more than 29,000 members and clients Australia-wide. Cuscal’s business is payments. They are Australia’s leading provider of end-to-end payments solutions whose capabilities include card and acquiring products, mobile payments, fraud prevention, EFT switching and settlements, plus running the rediATM Scheme, one of Australia’s largest ATM networks. 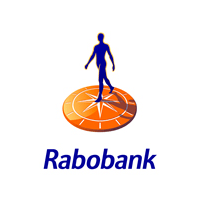 Rabobank is active in the Netherlands and many other countries worldwide. As a socially responsible bank, Rabobank is committed to contributing to welfare and prosperity in the Netherlands and to solving the global food issue. Rabobank is a cooperative with members rather than shareholders. Customers can demonstrate their involvement with the bank by becoming members. Nearly two million customers are currently members of Rabobank. They have a voice in deciding the bank’s course. 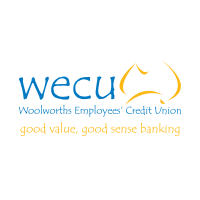 Woolworths Employees’ Credit Union (WECU) offers its members a better alternative to banks and other deposit taking institutions. 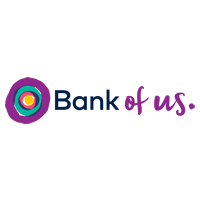 With an understanding and knowledge of the lifestyle needs of the employees of the Woolworths group of companies, WECU provides quality financial products with competitive interest rates, minimal fees and a friendly, personalised service. WECU’s range of services includes a selection of savings and investment accounts, loans for any worthwhile purpose, general and health insurance and financial planning.